Over the last few months, we have been writing a series of articles to lay bare the way the tea industry works. As a consumer, you should be able to make informed decisions about the tea you drink that benefit your body, your taste buds, the tea farmers and the environment as a whole. You deserve to know not just what kind of tea you are drinking, but who picked it, and how it got from the farmer to you. At the end of the day, the cost of tea is influenced by five major factors- the environment, the skill of the farmer, the way it is shipped, the state of the market, and the decisions of the final retailer. In this summary of the series, we’ll introduce each factor, pulling the back the curtain and inviting you to explore it all in-depth. For too long, the tea industry as a whole has hidden behind veils and partial truths. Right now, tea marketing relies heavily on health benefits and exoticism, obscuring teas’ inherent value to better match market trends. The industry has suffered from this: tea is marketed as an exotic cure-all, rather than celebrated as a beverage that can stand on its own, both as a worthwhile taste experience and as a culture deep enough to become part of our everyday lives. Tea marketing is full of smoke and mirrors, because at the end of the day, tea retailers don’t want you to know where your tea comes from. This creates an industry full of deception and inequity. Behind it all, there are real people – small family farmers whose innovation improves the craft and whose land stewardship protects the environment and the quality of your tea. Unfortunately, these families have an almost insurmountable set of obstacles between them and success. Good tea needs good water, land and air to thrive. In a way, when you drink a cup of tea, you are actually drinking a place: the place where that tea grew. Everything that infuses into your cup was drawn up from the soil and absorbed from the air or the water. It takes a perfect place to grow perfect tea. Anything less? Not only does the tea not taste as fine, but you risk putting other things in your body: air pollution, heavy metals from industrial runoff, and even pesticides from commodity farming. For this reason, finding tea from the right place is critical both to your health and to enjoying the final cup. The biggest problem with this is that there just aren’t very many places on earth that have perfect weather, clean spring water, and mineral rich soil in high-elevation micro-climates. These perfect plots are in remote mountainous regions, and are generally farmed by small families that pool their resources together. Terrain on mountainous slopes are difficult to reach and work with machines, which means large factory farms are at lower elevations, closer to cities and other sources of pollution. Large factory farms supply the vast majority of tea that reaches the rest of the world. This is a simple case of supply and demand. Even tea marketed as high end is almost always sourced from large operations and export brokers. This is because tea companies bribe government officials in China to exercise imminent domain and buy up land from small farmers to break up competing operations and eliminate threats. This land is absorbed into factory operations or sold in parcels for commercial development. Even worse, government officials that own stakes in factory farm operations currently block small farmers from exporting by withholding export licenses and certificates. This means that almost everything you see in stores and offered online is likely grown on low quality land near pollution and watered with municipally piped water rather than natural spring water. What can you do to ensure sustainable practices and clean farming? Buy from people who see a future in what they are doing. Small family farmers plan to pass their farm on to their children. They farm using truly organic techniques to safeguard the quality of their soil and water and protect the value of their tea. Yes – this sometimes means sacrificing short term gain for long term health of the farm. Only family businesses can make this call because they answer only to themselves, not to investors. On their own, organic and fair trade labels are not enough. 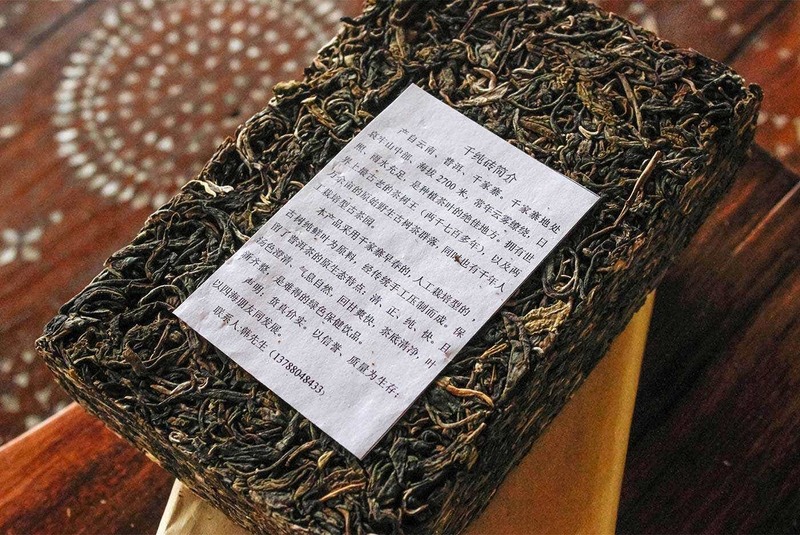 In China, these certifications are bought as easily as any other commodity.Organic certification seal stickers can be bought by the roll for export tea. In fact, in general, only large factory farms can afford to acquire these certifications. If a tea is certified organic, chances are good that it was paid for by a large factory or corporation, located by necessity near sources of pollution, and possibly even sprayed with approved pesticides. Only by revealing the true source can you be sure of what you are drinking. You deserve to know who picked your tea and how they did it. Seek out companies that tell you not just region, but specific village and family on each tea. Even a family name isn’t necessarily a guarantee. Look for pictures and videos. Get to know the people and places behind your tea. Find people you can trust like friends. Do this and the reward is tea that tastes good and feels great. These choices advance the goals of sustainability, protecting delicate and beautiful natural habitats, and keeping small farms from being bought out and consolidated. To truly understand what goes into protecting the environment around your tea, read our in depth examination of Land, Water and Air. As important as land, air and water are to your tea, it is the labor of the people picking each leaf that protects that land and water. 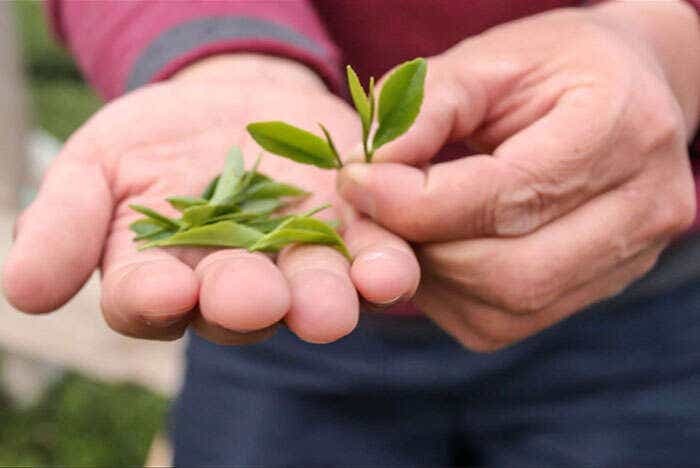 The labor that goes into making tea can either safeguard a place, tend each tea tree to encourage growth and bring out the best in each leaf, or it can sacrifice the land, deplete the soil, and damage the finished tea. You have a responsibility to know who is behind picking and processing tea. The stories of the most passionate family farmers who lead their villages in innovation and sustainability are inspiring. Awareness of their passion makes their tea taste better. This is why we work with small families and cooperatives. A family who owns their land and picks their own tea takes pride in what they do. Their work is a craft and the more innovative and careful they are in their labor, the more they can earn for their work. The families we work with have devoted their lives to what they do and will pass their skills on to their children. For tea farmers, an individual’s full day of labor often doesn’t yield more than a pound of finished tea. At picking time, the whole family is out in the fields , often with help from friends in the village. From our time in the fields, we have calculated out that a single ounce of finished tea takes at least 25 minutes of devoted labor produced at the craft level. Making high quality tea benefits the family with better earnings and benefits their village by building the reputation of their growing region. Contrast this careful model to factory farm operations. Currently, almost all export tea coming out of China is produced by large, investor-backed enterprises that buy land out from under small farmers and often coerce the displaced farmers back as wage laborers. Migrant agricultural wage labor in China pays no more than $300 a month for the more skilled positions. Even with a lower labor cost, factory farms have huge administrative overhead: marketing expenses, storage and brokerage, investor and government payoffs, etc. To keep costs down, they must rely on low cost labor and machine harvesting. The problem with this model is that, no matter what, quality goes down when the people picking the tea aren’t invested in the finished product. Migrant laborers and the short term investors that pay them do not have a compelling, personal reason to follow sustainable practices. As this practice grows, the market ends up with lower quality tea with less taste, and a high chance of pesticide residue. Chinese export law is at the heart of this issue: the Chinese government does not issue expert licenses to small family operations. As a result, it is almost impossible for an international company to work directly with a true small family farm. Some may use small farms for marketing, but actually importing from them is incredible convoluted. We have two staff members in China working around the clock to coordinate harvests and make sure that our farmer friends shipments can get cleared by Chinese customs, and years of experience by trial and error. The effort is worth it. The tea tastes better and the people growing it are paid fairly for their craft. The farmers we work with do so well that they can invest in facilities for their village, and even invent new kinds of tea. 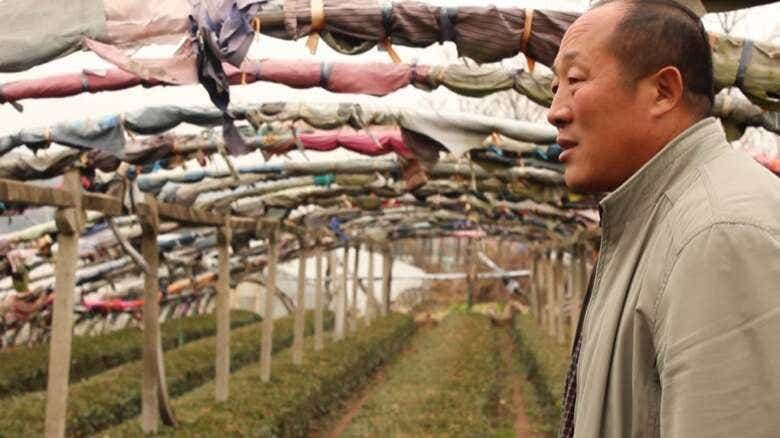 This innovation and development bolsters small farmers around China and has a big ripple effect that we hope will help shape the future of tea in a wonderful way. Ask your tea retailer who picked your tea, how much they are paid, and whether the actual farmers own their own land. Most retailers simply do not know. You deserve the truth. Support family farming to taste the very best, and build a better future than the factory farm model. To really get to know farmers and the challenges they face, read our full explanation of how labor affects the cost of tea. Supporting small family farms is not only the right thing to do – it means better tea for you. 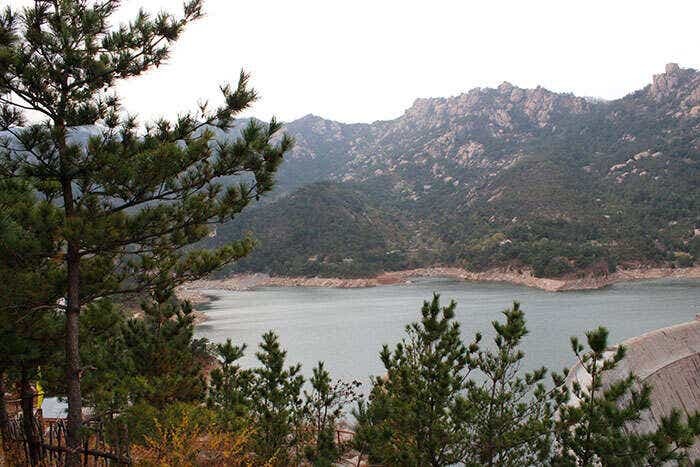 The only problem is that the Chinese government does not grant export licenses and certificates to small farmers like the He Family in Laoshan. The government wants to protect their monopoly on state-owned factory farms. They do this in an ingenious way. By only issuing export certificates to state-run farms and large operations, the government can cut off small farmers from the entire international market. The small farms are stuck selling only to domestic consumers. Many companies will talk about working with “small family farms,” but for the most part, that is just marketing. The Chinese government is thorough in their iron curtain blocking exports. No shipment gets cleared to leave the country without proper documentation. 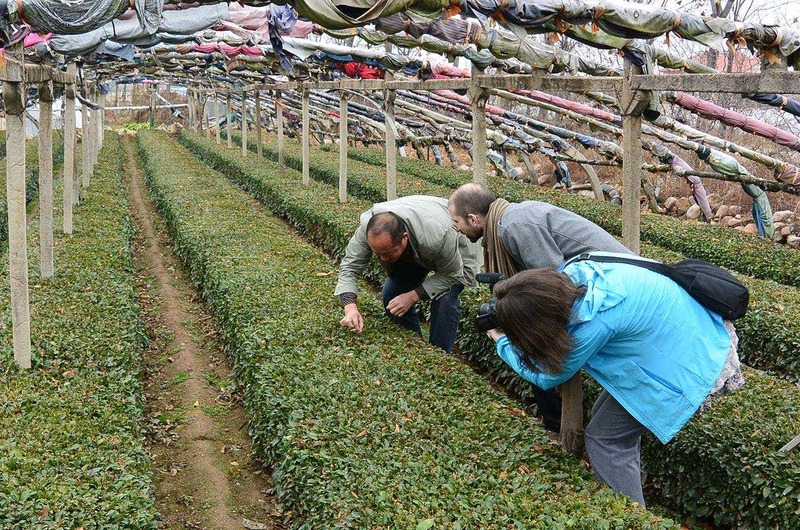 Most farm pictures on tea retailer sites are stock photos, or photos sent by the large state-run operations and state-sponsored export brokers for better PR. If you go to the big tea conventions, large operations have full press kits for their resellers, complete with pictures of people dressed up picking tea. Some foreign retailers partner with Chinese factory farms to displace small farmers and acquire farms of their own; others knowingly distort the truth. Some simply do not know that they aren’t getting the real deal. The laws in China guarantee a foreign market full of factory farmed tea, and companies that feel the need to obscure and hide their sources. We skip the broker step entirely, and source directly from our friends and partners. With all of these barriers, how do overcome and share tea with you? Despite the difficulty, we do not work with brokers. 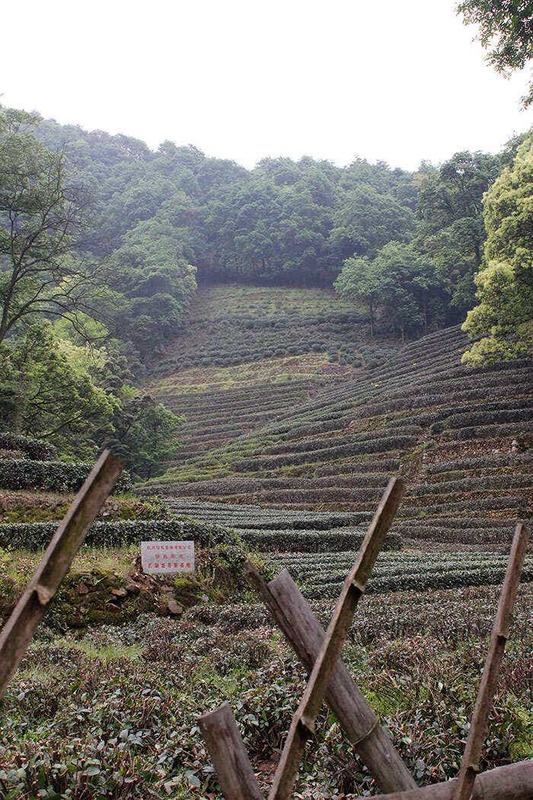 Our teas do not come from large factories. 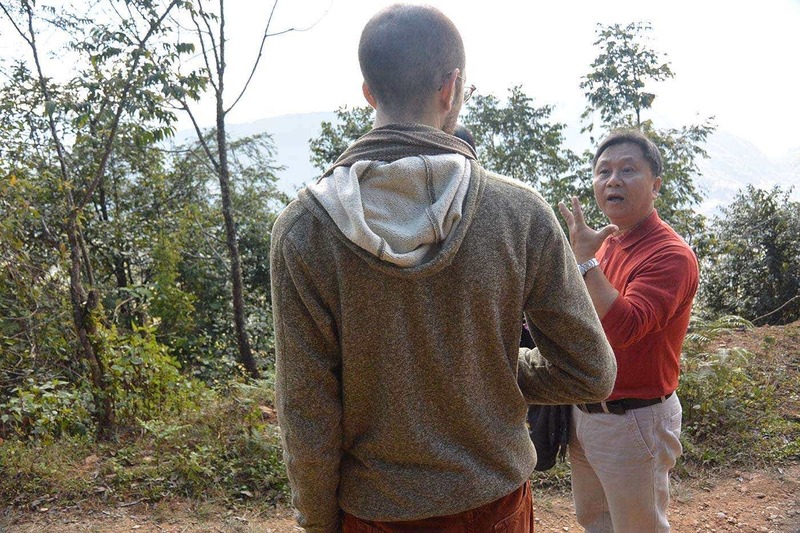 Instead, we source our tea directly from six small family farms. We do not work with translators and handlers. Instead, we are fluent in Chinese and have lived in China for many years. We have two staff members in China to help us out when we aren’t there. We have known many of our farmer-partners for almost ten years. Critically, we have cultivated relationships with Chinese logistics companies and government officials over our time living in China, and all of these allow us to get licensed and get our tea out of China through proper channels. We pick up each shipment of tea at the farm, and promptly air-ship the tea to our headquarters in Minnesota. Air shipping guarantees fresh tea, and that is why we exclusively air-ship our teas. It may be more expensive than ocean freight, but gets you your tea up to four months faster. 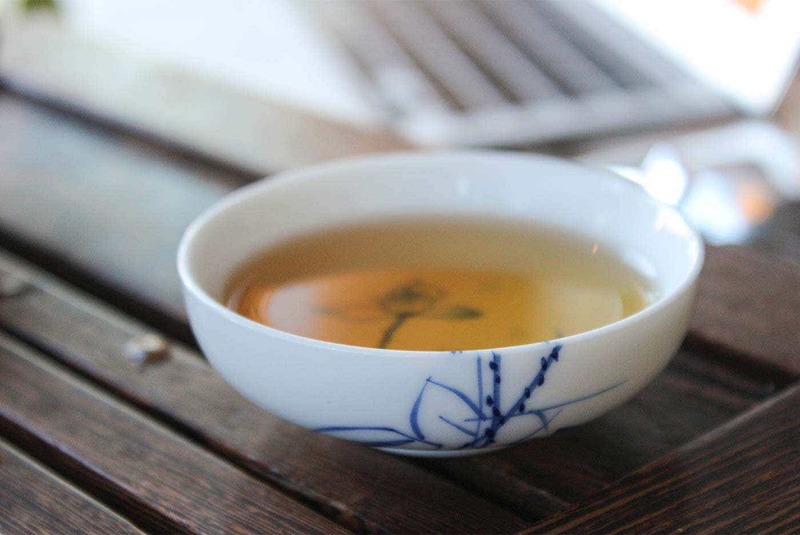 No one should pay a premium for “fresh spring tea” and get something from the year before. We do not sell spring harvest tea after the autumn harvest is picked, and vice versa. 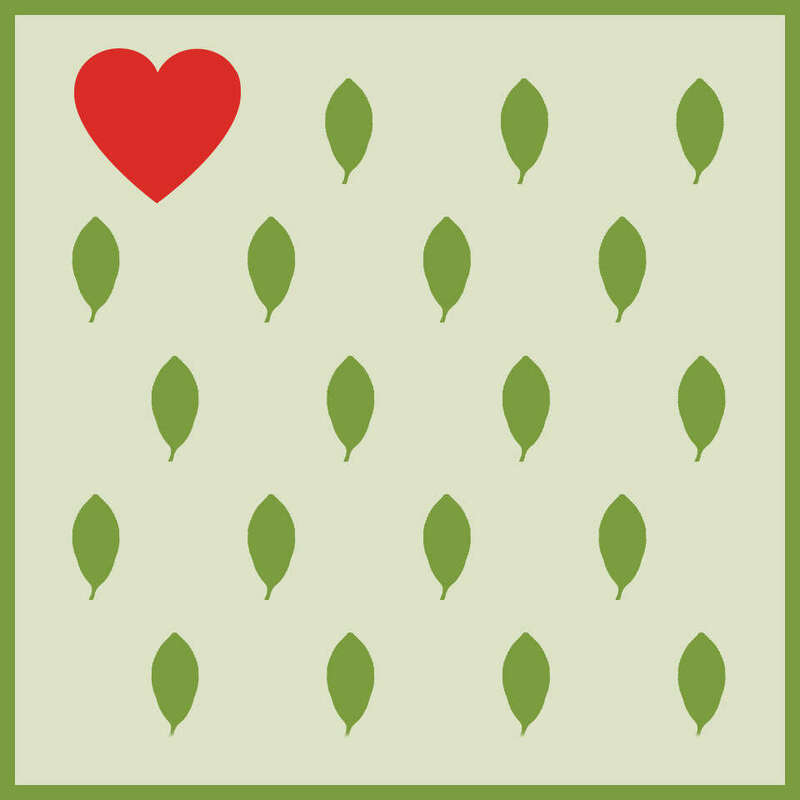 This means you get super fresh and flavorful tea that tastes as good in your cup as it did when it was picked. Our methods add to the cost of tea, but it gets you access to tea from real farmers and gives you the chance to try it fresh. Anything less is not good enough. As a consumer, you have no reason to pay for your tea to switch hands from laborer to factory farm owner, to broker to exporter to importer to distributer to retailer. You end up drinking low quality tea that has been shipped all over the place, battered and depleted of freshness. We cut out all the nonsense by passing tea direct from the farmer to you. Our costs go towards paying the farmers and ensuring freshness, rather than paying off the many layers of exporters. That means more of your money is going to pay for quality tea instead of all the layers between you and the farm. To get a full sense of the complexity of getting tea from the farmer to you, read our full article outlining all of the costs of shipping. So, we have looked at what goes into the quality and price of your tea- the labor of the farmers, the cost of the land and water, the cost of shipping. When you are buying from a collection like ours, what accounts for the price differences between different teas in the same collection? 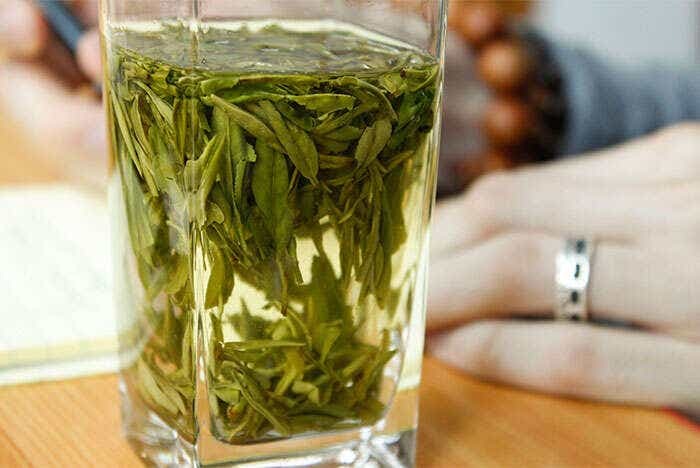 Why is our Dragonwell more than our Laoshan Green? They are both green teas from small family farms. They are both hand-picked and grown without pesticides, and both are air shipped directly from the source. The answer is the huge market force of Chinese domestic demand. Simply put- the more Chinese consumers want a tea, the more we have to pay for it. If a farmer can count on getting $500 a pound for a highly desired tea from local buyers, it is hard for them to accept less from an international buyer. Some teas can sell for thousands of dollars an ounce for the very first spring picking of the year. What drives Chinese consumers to spend such enormous amounts of money on tea? Tradition, established norms and perceived value. How is it any different from people spending thousands of dollars on a bottle of Cognac? Chinese perceived value is influenced by brand name, region, and celebrity endorsement. The best celebrity endorsement a tea can have is to have been part of the imperial tribute system. If an emperor picked a tea (like Dragonwell) to be paid as tax instead of forced labor or army service, a whole region could be made famous. If a tea is good enough for the emperor, it is good enough for wealthy Chinese consumers today. This system of Tribute Tea may be long gone, but its legacy still dictates prices. 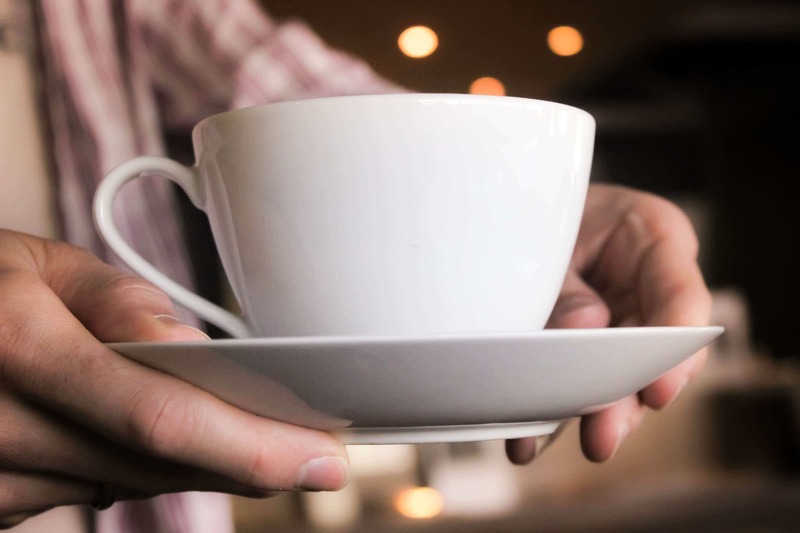 In an economy where business deals and government contracts are fueled by gifts and bribes, tea has become a prime way to “show appreciation” to a government official who helps you out. If you are going to use tea instead of money, it needs to be tea that has recognized value. This means you have to buy a brand name tea form a large workshop grown in a famous Tribute Tea region. The fallout from Chinese gifting culture is that small farmers get left behind. 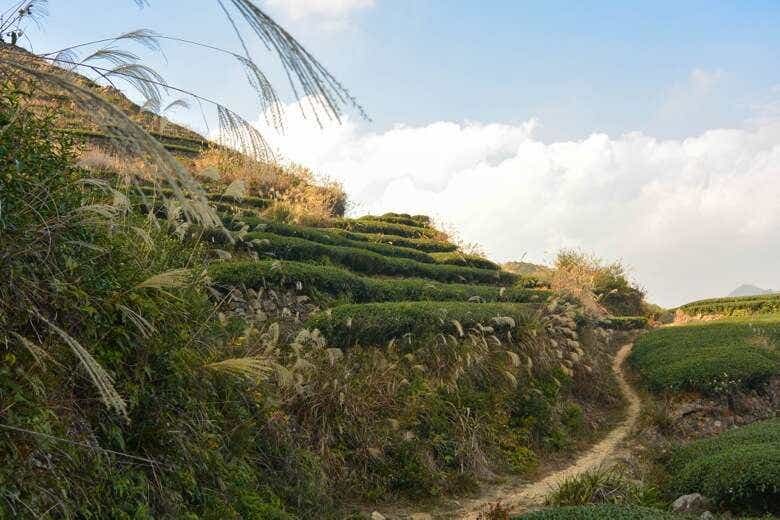 Even small farmers in famous regions are looked over when a consumer can purchase the same tea from an established brand name workshop, complete with certificates of authenticity to go along with their purchase. This is especially true with pu’er tea. 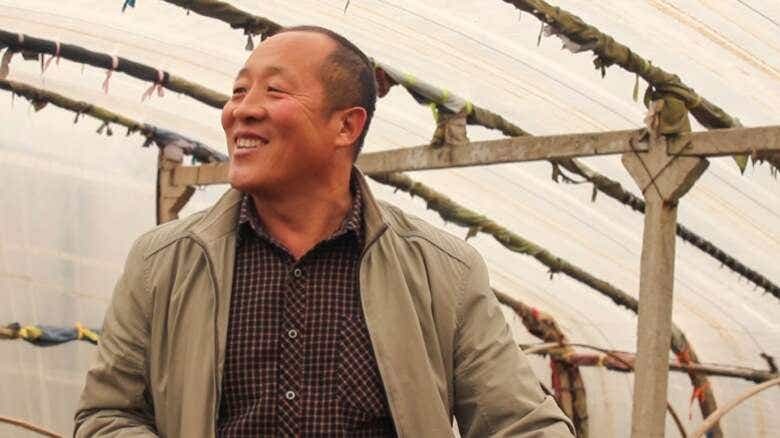 where a whole culture has developed that practically worships large players like Mengku and Xiaguan, while spurning true artisan growers, or farmers that wild pick and hand press tea like Master Zhou and Master Han of the Dongsa Farmers Cooperative. Small farmers and newer growing regions like Laoshan Village simply don’t get rewarded for their labor in the same way that brand names do. At the end of the day, our passion for what we do stems from the moral imperative we feel to help small farmers fight back against the overwhelming odds and build a brand for themselves. Working with small farmers gives them a chance to be appreciated outside the context of whether their tea was used for tribute or not. At the end of the day, seeking out individual farmers and the lesser known growing regions helps you get tea for less money, helps farmers make more money and encourages innovation in the industry by bringing money to regions that don’t have the brand equity of the few famous teas. We build our farmer relationships on trust with the goal of long term investment. We help each family build their brand, working with them on their goals and communicating their passion to tea lovers. In return, we get the privilege of sharing some of the best tea in the world. Because we don’t buy from the big workshops, we don’t have to fight the Chinese market on price. 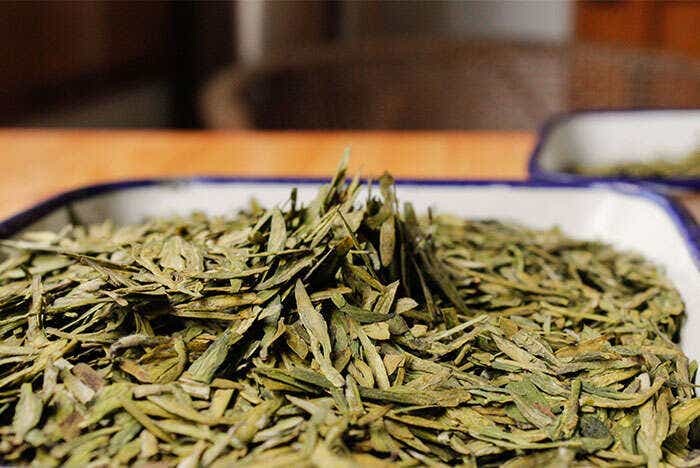 While other importers are stuck buying fake, low end Dragonwell without even knowing it, or paying way too much for low quality teas, our relationships give us access to the very best and pass it on to you. We benefit, farmers benefit, and you benefit. 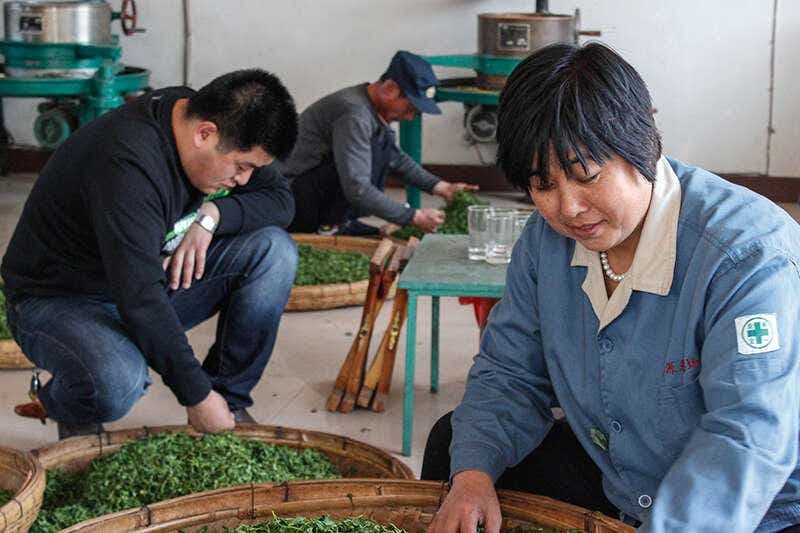 To learn more about the complexity and history of domestic demand in China, you can read the in-depth article on Domestic Demand in the tea industry. When it comes right down to it, all the steps between the tea farm and your tea cup have costs and implications, but it is the final retailer who decides how to price a tea and how transparent to be with you. With tea becoming so popular, countless people are throwing their hats into the ring and going into the business of selling tea – from Starbucks’ purchase of the Teavana chain all the way down to one-person online operations, packing and selling out of their apartment. Each retailer has to add markup to their tea prices to stay in business. Retailers pay their suppliers – be it small family farms, import brokers, or sometimes just other US tea retailers. This money and the cost of shipping and packaging your tea is called cost of goods sold (COGS). COGS on a tea is how much you would have to pay to get that tea direct from the supplier yourself. However, a retailer has to charge more than COGS to support their operation. Every operation has expenses – at the very least rent, payroll, taxes and license fees. The price you pay for tea therefore reflects a retailer’s markup. This markup allows the retailer to cover their costs, above and beyond COGS. Many would say that having expenses justifies charging markup. However, consider each step along the path to get you your tea. 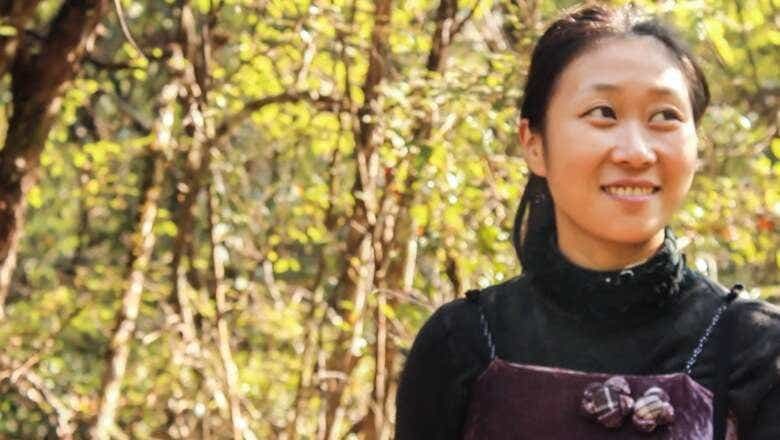 The tea farmer actually grows and crafts the tea. Their markup is justifiable because they create value from their labor. The shipper actually moves the tea from a remote farm in the mountains to its final destination. The shipper, therefore, provides a tangible service. A first glance, tea retailers do not provide a tangible, quantifiable service. It is easy to get caught up in the spreadsheets and simply charge whatever you need to charge to make ends meet. There are so many business books about how to calculate markups and margins. The question many retailers are avoiding is: why? Businesses exist only so far as needs exist. An online retailer’s markup needs to be justified by the service it provides and the needs it fulfills. If we as retailers cannot explain what we do for you that gives us the right to charge more than the farmers charged us, then we have no business selling tea. Throughout this Transparency series, we have examined different models of sourcing. The most common model involves a retailer buying from an export broker that represents a factory farm. The retailer will receive catalogs, try some samples, pick out a selection and throw a website up on the internet. I see no value whatsoever in a business that does not source its own tea from farmers. When an online retailer is buying from an exporter, (or even worse, an America supplier that has already handled the import step) they are adding no value to the tea they sell and are not earning their right to charge markup. Retailers know this deep down. That is why it is so uncommon to see an online retailer disclose their sources. There may be vague statements about tea from small farmers, but if they can’t back it up with pictures, video, names, stories? More likely than not, it is just smoke and mirrors. Retailers are embarrassed that they are often doing no more then dressing up the same factory farmed tea in fancy packages and building a brand to profit. We add value by spending years in China, gaining fluency in Chinese, building decades-long relationships with individual farmers and getting their tea to you fresh from harvest. We invest money in the families we work with: helping them grow, giving them a chance to invent new kinds of tea like Laoshan Black. We help these farmers make a name for themselves and navigate an unfriendly import / export world so they don’t have to. We cultivate relationships of trust that mean our farmer partners send us only the very best. The value to you is knowing with 100% certainty that you are getting tea grown without pesticides on clean pure land with spring water, picked by hand and processed by hand, and air shipped fresh after harvest. You know that we only carry the teas that our friends in China are proud to share. In an industry that lags behind coffee, chocolate, wine and scotch in terms of transparency, it is time for every retailer to be honest and lay bare their process. It is time for retailers to ask themselves how they serve you, and why they need to exist. As a consumer, the more questions you ask, the more good you can do. Every question is challenge that helps retailers like us improve. Only a culture and an industry that demands transparency will allow small farmers to flourish, innovation to happen in the industry and for customers to be presented with fresh and high quality teas. The issue of accountability and the role of the retailer is so complex, that I highly recommend reading the in depth article on the subject that covers typical markup structures, breaks down exoticism in the industry, and explains in detail how we can charge what we do. Posted on March 27, 2015 at 4:06 pm. Thank you for enlightening me on the how the Chinese market works. I fully support small organic farming and want to be able to share tese teas with my friends and family and more. The Chinese market – like any market! – is full of complexity that’s difficult to get into in such a short space like an online article, but I hope we can do our small part to remind people that, no matter what you’re drinking, there are real people behind that tea at every step along the way – from the farm to your cup. Each person in the chain makes decisions that effect the quality of the tea, and that always effects the price. I hope you’re enjoying the Spring time so far! Dear Lily, it is really my honor to read your article, so long, so detailed, with the best intentions and deepest love for good tea. However, something has changed a lot in China, most negative corruption phenomenon has been forbidden in China. Nowadays our president is Xi Jinping, who is very tough to combat corruption and build a clean government. Samll farm Tea business is greatly encouraged. There has definitely been changes! 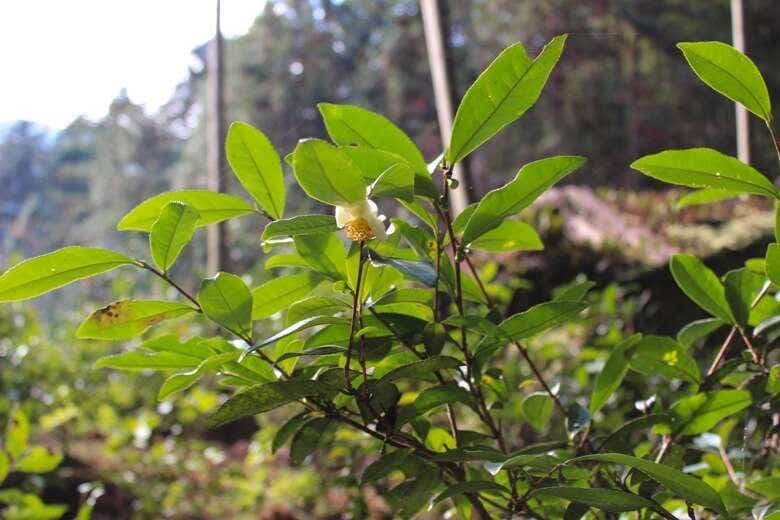 It is encouraging to see local and national governments moving to support some of the tea growing regions. The anti-corruption measure you mention have also created big changes in the tea markets in recent years. Either way, the demand domestic Chinese market continues to be a very influential factor in the prices of teas around the world! Great article! I completely agree: most US retailers buy tea from distributors and add no value. In fact, I was at a tea expo and met a tea company owner who claimed that they went to China, India etc to source their teas directly from the farms, yet their tea and even packaging were exactly the same as the large Chinese distributor next door. While visiting tea factories in India, we learned that how they say they grow and produce tea and how they actually do it can be two different things. So, you need to ask a lot of questions to know the truth.